Sure, they're watching videos, playing games and hanging out online. But today's wired teens are also using social networks and the Internet to make a world of difference. Meet five kids who are logging in and giving back. Cameron knows that distraction can be a good thing. Three years ago, right after turning 11, he was diagnosed with a bone tumor in his left leg. Although benign, the growth was painful, and extensive surgery would be required to remove it. "I remember sitting in the hospital room waiting for my operation," he says. "I knew there was no guarantee everything would turn out well, but at least I had my computer and iPod Touch so I could play games and watch movies, which helped keep my mind off how scared I was." The procedure was successful, but Cameron had to finish the school year in a wheelchair and spend months in a cast and brace. "I couldn&apos;t do sports or hang out with friends, and I didn&apos;t want to waste all that time," he says. During the 10 days he spent at Mattel Children&apos;s Hospital-UCLA, he had searched high and low for inexpensive drawing apps, but came up empty-handed. 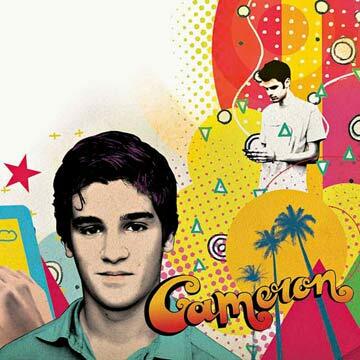 So Cameron set out to create his own. He started out by Googling "how to make an iPhone app" and watching online tutorials. College lectures on iTunes U helped, as did virtual communities such as iphonedevsdk.com, where he got advice and tips from adult app developers, though he&apos;s pretty sure they had no idea how young he was. "I didn&apos;t disclose my age!" he says. Cameron submitted his iSketch to Apple in November; a month later, it was on sale at iTunes. The software lets people paint with their fingers or brushes, upload to Twitter and Facebook, and save or e-mail their work. Cameron, who receives 70% of the profits, decided to donate a substantial part of his earnings to the hospital so it could purchase electronics, games and gadgets for young patients. "If they have to be there for whatever reason, I wanted to make things better for them," he says. Sales have been brisk, and last year Cameron wrote a check for $20,000 to Mattel. "I can't believe how popular it is," he says. Cameron's already created AnimalGrams, a new word game app, and plans to donate part of the proceeds to Mattel as well. In the meantime, he remains involved with the hospital by helping to set up new equipment and showing staffers, patients and parents how to use it. "Now when kids are waiting to go into the OR or recovering, they're playing on iPads," Cameron says. "Instead of worrying, they're flinging birds at pigs or whatever—and they're happy!" One day in early 2008 Mimi, then 11, was playing on Freerice.com, where kids can fight world hunger by taking multiple-choice quizzes. Each time a correct answer is chosen, the site's sponsors donate 10 grains of rice to the United Nations World Food Program. "I thought it would be cool if there was something like this that could help animals too," she recalls. As a volunteer at the Humane Society of Central Oregon, Mimi had seen up close how the shelter was struggling with fewer donations and more animals. "I figured I could help by starting a fun website for kids that would get stores to donate pet food," she says. Accompanied by her parents, Mimi went door to door asking businesses to contribute. She raised enough money to cover the cost of setting up a website, which a local design firm did at a 20% discount, and found a local store, Pet Express, to donate dog food. Mimi wanted to focus on canines first, since they were more difficult for the shelter to care for and place. So she pored through books to come up with kid-friendly trivia questions. "The first one—'What's the fastest dog? '—was pretty simple," she says. "Now that I also use magazines, newspapers and the Internet, the questions have gotten more interesting, plus I like to mix it up with funny questions, educational ones and some inspirational stories as well." Freekibble.com was launched in April 2008. For every answer, right or wrong, the site donates 10 pieces of dry food to the Humane Society. There wasn't much traffic at first, but word soon spread via e-mail, blogs, Facebook and Twitter. In May Mimi delivered her first load—240 pounds' worth. Mimi launched Freekibblekat.com a couple months later. 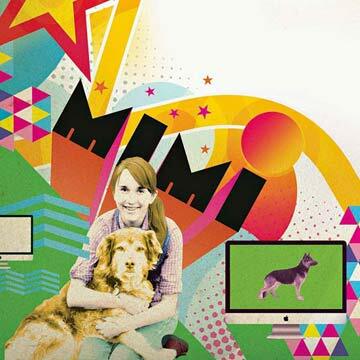 After the sites were covered on the national news, Ellen DeGeneres invited Mimi to appear on her TV show and offered to make Halo, the pet food company she co-owns, the sole sponsor. Freekibble now has some 100,000 followers worldwide and has donated nearly 7 million meals to more than 150 shelters and pet food banks across America. Mimi's even managed to ship food overseas, like the special one-time donation for rescued puppies in Afghanistan. The ninth-grader still helps research and write trivia questions every week. "They're getting harder to think of," she says. Fortunately, users send suggestions, and Mimi recently expanded their role on the site by adding a section where kids share stories and pictures of their own pet rescues; each month, the site picks a winner, who receives $250 from the Freekibble Foundation to give to their shelter of choice. "The most important thing I've learned is that if you put your mind to something, you can really make anything happen," says Mimi. "I want every kid to know that." With the deadline looming, Tom's class had to act fast. They organized a Sunday morning breakfast at a restaurant near the bridge, and Tom created a Facebook page to rally support. The students invited everyone they knew via e-mail and church announcements, directed them to the page and urged them to start spreading the news. Their efforts paid off—the event was packed and raised over $1,000. 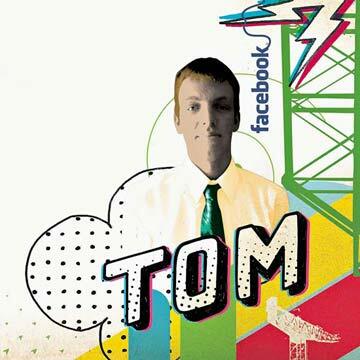 "The response was great, even though we set it up so quickly," says Tom. He and his classmates then went to the city council, where they gave a presentation on the bridge's history and suggested that it be turned into a recreational pier and park. The proposal made it to the state legislature, and that June Governor Tim Pawlenty signed a moratorium on the demolition. By this point various historic and preservation groups had joined the cause. In October, the city of Inver Grove Heights took ownership of the bridge and hired engineers to refurbish it by building an observation deck and fishing pier—mission accomplished. The new Rock Island Swing Bridge had its grand opening last June. There's a marker stone at one end that gives special thanks to those who helped save the landmark, including the students of Simley High. "If it hadn't been for us—just a bunch of high school kids—it would have been gone forever," says Tom. "It's the best thing we ever did." 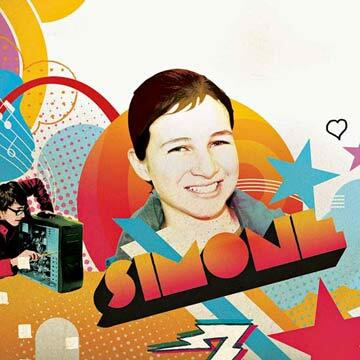 It was back in 2004 when Simone, then 12, wanted to step up and volunteer. "I asked everyone I knew for leads and searched online, but there were no listings of local groups with opportunities for people my age," she says. Through a family friend, Simone finally learned of the St. Louis Crisis Nursery, a nonprofit agency that provides a safe haven for abused children. "I assisted with art projects, played games with the kids and worked at fundraising events," she says. Five years later Simone was eager to move on to a new job, "but there was still no information," she says. "It was so frustrating." After finishing her junior year at high school, Simone spent the summer creating StLouisVolunteen.com, a comprehensive one-stop website for tweens and teens wanting to pitch in. She enlisted her Web-savvy brother, Jake, then 14, to design the site, while she hit the phones in pursuit of organizations that needed help. "Food banks and homeless shelters are great, but I wanted other options," she explains. "I called everywhere and was amazed at what I found—a music school where volunteers can give guitar lessons to kids, a tech service where teens can learn to repair and rebuild old computers, even a junior firefighter program." Simone also discovered that many groups simply didn't have youth programs, either because they'd never thought of it or they had no one to supervise them. Soon she was figuring out solutions. She worked with the Contemporary Art Museum St. Louis to create jobs for teens on Family Day by having them help children on craft projects. She also urged organizations to set up junior boards, giving young volunteers a chance to get more deeply involved with fundraising and overall planning. "Kids tell us they're surprised by how many possibilities there are and how much they can contribute," she says. Now a sophomore at St. Bonaventure University in New York, Simone still oversees the site. Users can search by job category or age; if nothing fits their interests, they can fill out a match form and Simone or Jake will contact them when the right gig comes up. When they hear about a new position or about fundraising events like a race or bingo night, Simone and Jake send out the news on Twitter. "I update it sometimes after school," says Jake, 18. "But my sister is really great at the feed and does it several times a day between classes. Our followers are growing exponentially." Last year the site got 1,500 kids to pitch in, and Simone is planning to soon launch a national site, VolunteenNation.org. "Kids have the time, energy and motivation to volunteer," she says. "Groups that figure that out can really reap the benefits." As Shannon sees it, no distance is too far when it comes to helping people in need. While growing up she and her family went on "volunteer vacations" to places like Peru and Costa Rica, where they taught English and worked at local orphanages. In 2008, while trying to earn her Girl Scout Gold Award (the group's highest honor given for community service), Shannon began researching schools in Africa, specifically Tanzania. She discovered that those in impoverished rural areas had no reading books and only a handful of textbooks for students—and that girls had far fewer educational options and opportunities than boys. "Two of my biggest passions are women's rights and reading," says Shannon. "I wanted to find a way to address both issues." She created an afterschool reading program for girls and named it SHARE (Shannon's After-School Reading Exchange). With the help of friends and neighbors, she collected hundreds of books in addition to school supplies and old computers. Several months later Shannon and her family flew to Tanzania, bringing the donations along. With the help of a tour guide, Shannon learned of the Kiteyagwa Primary School in Bukoba, a town on the western shore of Lake Victoria, and decided to make it SHARE's first recipient. Teachers there were eager to participate, and even agreed to stay late and give extra instruction to female students. "The girls picked up on everything so quickly," Shannon says. "They worked so hard and just craved the chance to learn." Shannon had originally thought of SHARE as a one-time effort. But once she returned home, the project quickly expanded. She held fundraisers, networked with other nonprofits, applied for grants. Shannon also created a website, ShareInAfrica.org, a Facebook page, and a YouTube channel, where viewers can find links to videos and photographs. "We are changing lives in Tanzania by lifting people out of poverty and ignorance," she says. "And social media is the best way for us to reach a wide and passionate audience." Shannon has since set up programs at three additional schools and has transported some 35,000 books to classroom libraries. The SHARE program has won international accolades from the United Nations, and Shannon was recently invited to speak at the White House for International Women's Day. "I'm fortunate because my parents gave me the opportunity to travel and become a global citizen," she says. "But SHARE proves that when other teens learn about what's happening in developing countries, they'll want to pitch in too." Originally published in the April 2012 issue of Family Circle magazine.